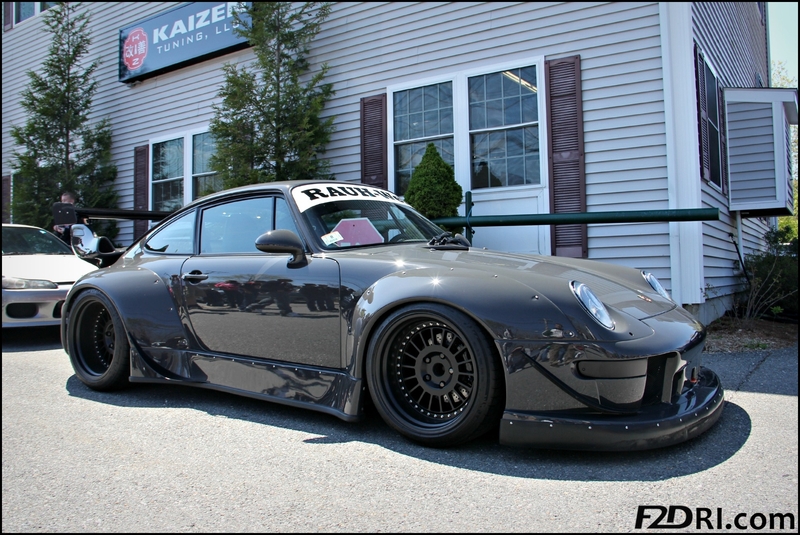 On May 22, while I was enjoying Kaizen Tuning’s Open House in Acton, MA, my attention was grabbed by a Porsche, but not just any Porsche. This particular one was a Nakai-San Porsche. Yes, one of the Porsche’s he has worked on was there AND he was actually AT Kaizen(pics below the Nakai-San Video of the car). For those of you that don’t know Nakai-San, he is a master creator, builder, and artist of all things fantastically Porsche. I say artist because there is a certain beauty that he brings to the Porsches he works on, which he builds with no paper or pencil and no pre-planned design. I can’t really describe what it is about him that is so striking except that there is a certain intensity I can feel from him– an intensity transferred into the cars he builds. 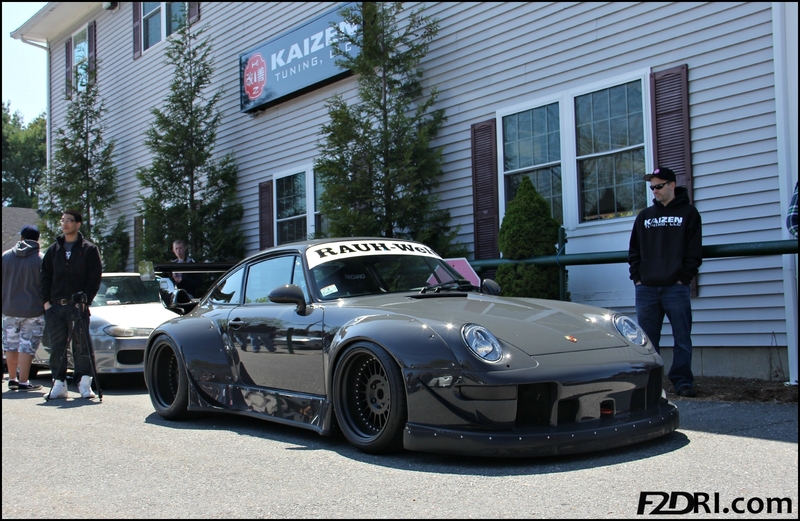 The RWB Porsche on Rotiform’s. 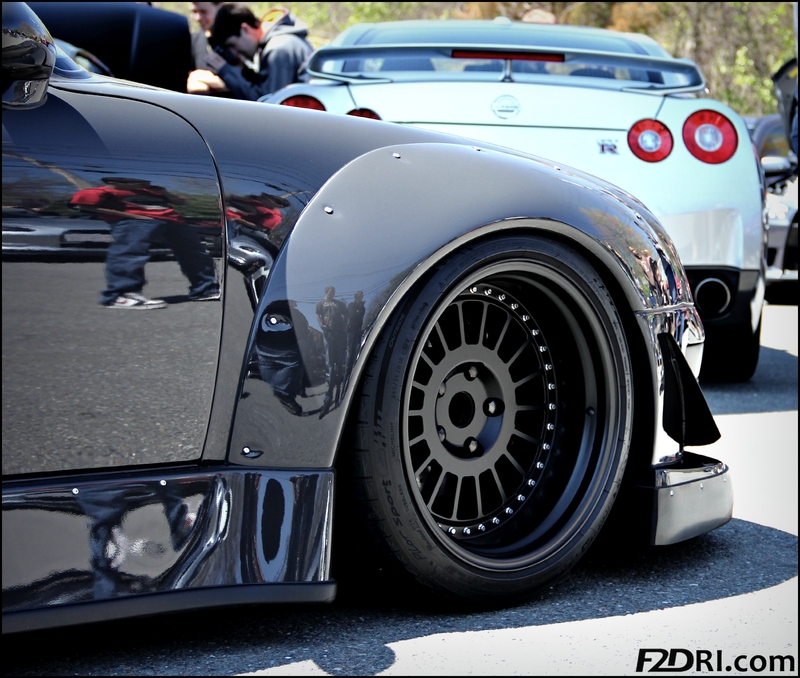 Welcome to the RWB side of life. Guy is genius! This just teaches me that you cannot be limited with your own likes/dislikes about cars and that its awesome to be able to discover something new and different that you never thought you would really like. I done got schooled! There’s more to learn… every single day. I love this car culture. It was really amazing. It’s nice to be able to watch that video and then look at an actual car he made. Okay here’s what I love about Porsche, its how they might not aaylws be the best they are aaylws pushing the bar further and further for everyone else. No one expected the Cayenne to be successful but it was, same with the Panamera. Although, I can agree with some that they might not be the hottest cars ever. As for the 911, it is probably the most definable sports car ever. No matter what year it is, if you looked at a silhouette of it you know its a 911. This car sounds absolutely amazing! Omg, I was in love with it. It just looked so fierce and unique. If you ever hear of a Nakai San Porche GO LOOK AT IT STAT!